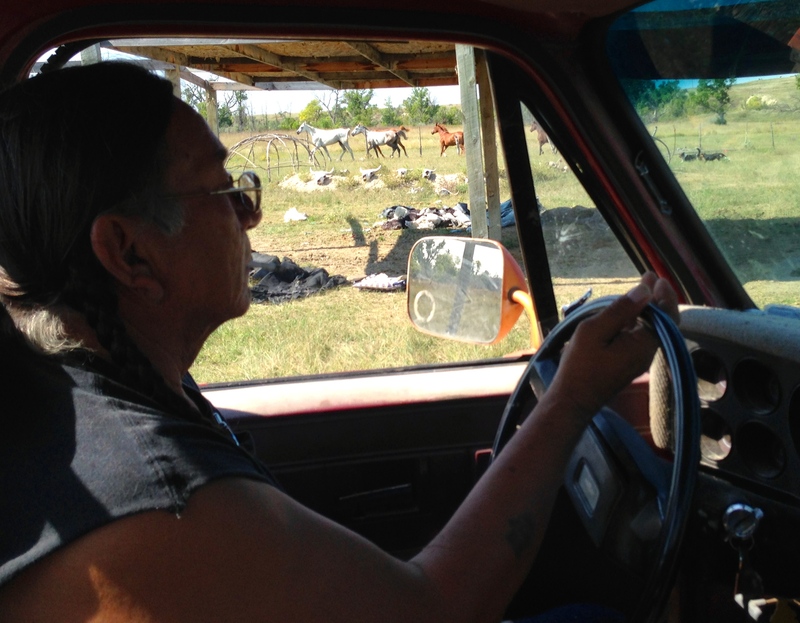 I’m riding shotgun in an old pickup with Marvin, chasing his horses across open grassland. His dogs are running out ahead of us doing most the work. When the horses veer down into a draw the dogs get around them, the horses come back out and thunder up a hill in a cloud of dust and sage. Marvin spins the wheel, downshifts and we follow the horses up across the prairie back to his trailer. I’m having the time of my life out here. But Marvin and his people are struggling in this country, a nation with the second-lowest life expectancy in the Western hemisphere. The truck hits a hole and fence posts, barbwire and the college boy in the back all come down with a crash. I yell to Marvin, “You ever get stuck out here?” He shakes his head and grins. “This truck thinks she’s a four wheeler.” “Well what about the snow?” I yell. Marvin pats his hand on the dash and repeats, “She thinks she’s a four wheeler.” We get the horses back and the dogs herd them into a corral. Marvin inspects the rear end of his truck, two long braids hanging down the back of his cutoff shirt. The college boy volunteer is breathless, pointing out to the prairie, “The tailgate fell off back there!” he says. Marvin pulls a fence tool out of the rear and wires the muffler back up. “My grandsons can go find it later.” He wants to get the horses saddled so he can take us on a tour of his land, part of a nation the size of Connecticut. I only met Marvin that morning when we pulled up at his battered mobile home to install bunk beds our volunteer group had built. He’d waited a year to get them, intended for his grandsons who were coming to live with him. After the bunks were put together Marvin offered to round up his horses to take us riding, a thank you for our work. 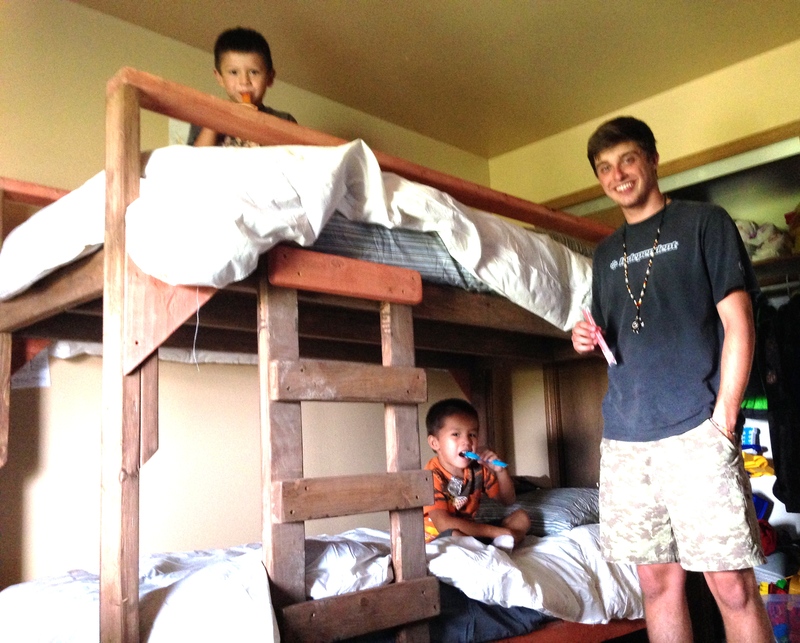 The gratitude was real: out here, many children have never slept in a real bed. We heard of people sleeping 15, 20, even 24 people in a single mobile home to stay warm in winter temps that can drop to -30 degrees. Many use outhouses year round, as 13% of the people have no running water. I’ve been drawn back to this place by an invisible pull to my heart. 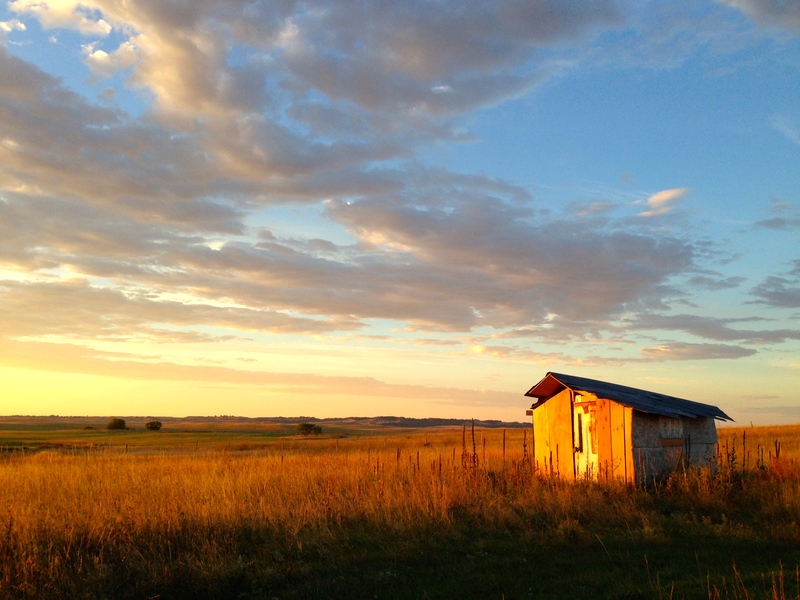 2.8 million acres of gorgeous prairie and ranchland. There’s wild horses out here. Growing herds of buffalo. And a healing power I find unavailable back east. Out here people live a hard but simpler life free of urban noise, billboards and staff meetings. Their attention does not revolve around television celebrities, football and fashion. Instead there’s a deep value for children, extended family and the wisdom of their elders. It’s one of the few places remaining in the U.S. where spirituality is rooted in nature and our sacred duty to respect all living things. I’m on the Pine Ridge Indian Reservation, South Dakota: home to some fifty thousand Oglalla Lakota people. 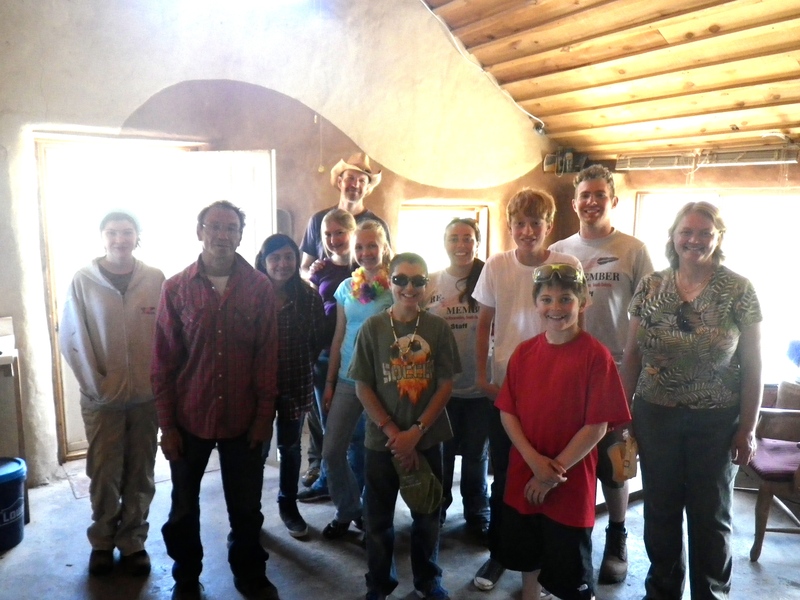 This was my second trip to Pine Ridge in two years, working with the Re-Member volunteer organization. During my first trip (story here) I intended to help some residents and learn what I could about Lakota spirituality. But that single week turned my perceptions of who needed the help upside down. 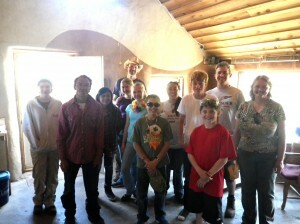 So this time I went back with several friends to help not just the Lakota, but myself. I’m writing this to share some of the good medicine I received while out there. I too come from that tribe, the great white tribe of European descendants that still dominates the power systems of this country. And in my own years of legal, religious and medical education I was never taught the things any Lakota child would know. How to consult my spiritual core directly for guidance or physical healing. How the community encircles the children and seeks the wisdom of living elders and the ancestors. How to honor the earth as a mother and other created things as our kin. So now my tribe is in trouble. We’re debating more efficient ways to continue extracting and burning fossil fuels and growing our consumer economy but few are looking at the underlying belief system itself, at our parasitic relationship with the earth and nonhuman life. We seem to have lost our memory, lost consciousness, of our interdependence with nature. And we do not imagine there to be any other way of living. 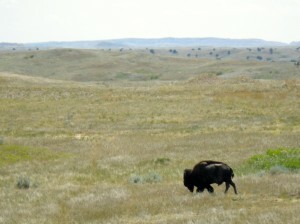 Fortunately, there are still living societies like the Lakota who remember. Although the conventional story about Pine Ridge centers on the poverty, alcoholism and joblessness these issues are not the big story. The big story is that the deep earth-honoring ways of the Lakota are still alive and surprisingly intact today. They remember: an ancient ecospiritual wisdom that could never come from mainstream America. They still have the actual beliefs and practices that sustained their people for thousands of years. It’s the medicine we didn’t know that we needed, from a people our European forefathers didn’t even think were people. Like other Indians today many Lakota are reluctant to share their traditional ways with nonIndians. But organizations like Re-Member are combining service work with cultural exchange in a respectful arrangement for mutual benefit. I list some of these programs at the end of this story. 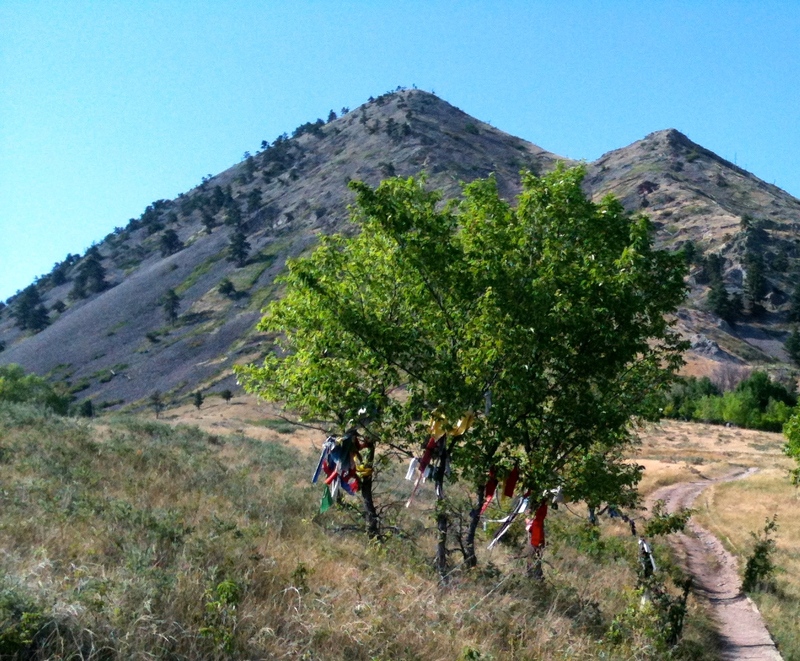 What follows here are a few experiences from my September 2014 volunteer work that illustrate how the Lakota can teach us to remember and rebalance. The stories are organized around three areas that my own tribe needs help with: our chronic busyness and distractability, our communities, and our relationship with the earth. 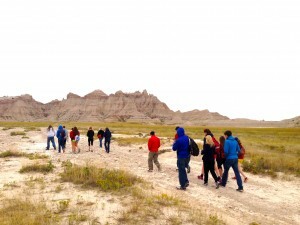 During our volunteer week on the Rez (as Pine Ridge locals call it), various Lakota elders spoke to us about their social and cultural traditions. Each one began their talk with a sage or sweet grass blessing, and a prayer. Lawrence Swalley, a spiritual elder shared the Lakota creation myth of “turtle island”, which included the origins of each of the four races- the Black, White, Red and Yellow people- as each corresponds to the four elements of water, fire, earth and air. I’m reminded of studies on personality types that show a majority (up to two-thirds) of Americans are on the extroverted end of the introvert-extrovert scale. Indeed, a 2014 U. of VA study found that a majority of people (primarily men) would rather administer a painful shock to themselves than be alone in silence with their thoughts for more than a few minutes. That can’t be good, if silence and solitude are key to deeper self knowledge and spiritual transformation. Or to just listening better. Yet our education system and workplaces reward and promote extroverted behavior: encouraging verbal group-think, pods of face-to-face desks in elementary classrooms and open-plan, wall-less offices. These arrangements energize extroverts but drain more introverted children and adults. What if an entire culture with an introverted temperament was struggling to be seen and heard by the dominant extroverted one–would the talking tribe even perceive the quiet one? My own experience on Pine Ridge was a continual lesson in mouth management and slowing down. One day I was assigned to help with construction on a new home with Charlie, an Indian man who moved to the Rez from out east. Charlie’s father was a Seneca Indian and his mother a Mohawk Indian. Charlie was a horseman who also drove the volunteer bus around the Rez. As we worked together, I soon found myself moving faster than Charlie with my tools and building materials. I was up and down the ladder more quickly, nailing and power-sawing faster and feeling very productive. When I told him I needed another two by six board he disappeared out to the lumber pile. Minutes later, I found him examining each board with slow hands, feeling the grain of each board, sighting down the length of each for warps, in no hurry whatsoever. I realized I was missing the entire point of the volunteer program: building relationships, not houses. Charlie was present, I was not. My mind was far ahead on the project and MIA in the actual moment with Charlie and even the materials I was working with. Without a word, his actions taught me this: “Its just a building. There is much to do here. Let’s take our time, enjoy this day and be grateful for the tree that gave up this gift of wood to us.” Once I slowed down and actually paid attention to the man, he opened up and we had a wonderful afternoon working together. And we still got plenty of work done. From Lakota elders to adults to children, I found that there was just no hurry with the people I met. They often seemed less interested in talking than in just being with me. The experience of conversation could be a bit off-balancing even, like lobbing tennis balls (words) at a partner who is smiling but not hitting them back. After a while you begin to wonder why you’re hitting so many balls in the first place. Perhaps its okay to just be with the person, in silent attentiveness. Perhaps its okay to just be with your self. Perhaps this is a lesson in mindfulness. Admittedly, the natural surroundings of Pine Ridge are more conducive to falling silent than the constant stimulation of urban life. Just weeks ago I could walk up the hilltop behind the Re-Member bunkhouse and see for miles, feeling the spirits of the Four Directions. To the east, the whispering grasslands rolled away in waves of sandhill formations. To the south, prairie songbirds swooped down into meandering draws and up over the treeless borderland with Nebraska. To the west, sunsets flamed above the blue-grey ridges of the Paha Sapa, the Black Hills. 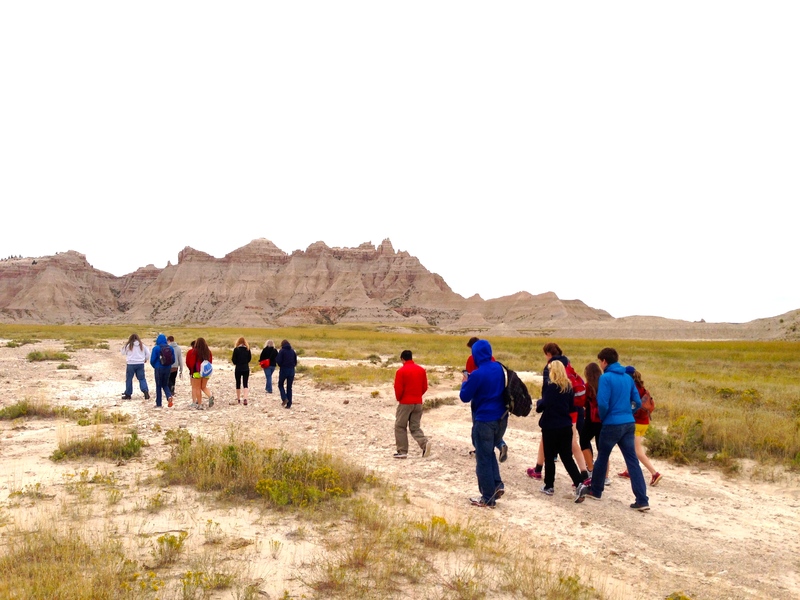 To the north, the spirits of the ancestors moved about the moonlike landscape of the Badlands. A friend I had not seen for years joined our volunteer group that week, and each evening we went for long walks on the dirt road off the highway. That heart-opening reconnection, on native land under a diamond-sprayed sky, cast a spell of timeless joy I will never forget. The land and sky start to work on you out there, ready or not. As you drive west from the populated midsection of the country into the Great Plains a real shift of consciousness occurs. It all begins at the Missouri River. East of the Missouri the landscape is a human-dominated one of cities and massive agricultural operations that all demonstrate human power over nature. 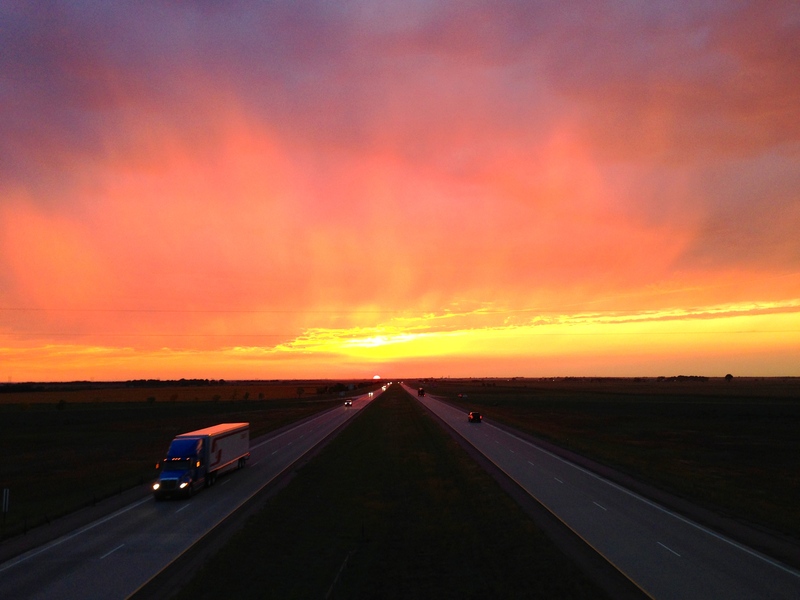 But west of the Missouri the landscape abruptly changes to a nature-dominated vista of open plains, shortgrass prairie and treeless rangeland. As the miles go by, you start to realize its a long way between towns out there, and at some point you stop thinking about the job or the drapes and start wondering how far it is to the next gas station. In the summer you’re thinking about where the next water stop will be. In the winter, you’re just hoping the car doesn’t break down. 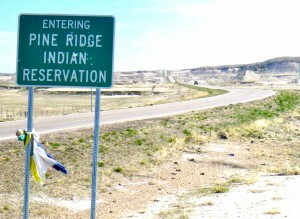 As a vast area with few towns, Pine Ridge can have an uncomfortable but important reorganizing effect on the human ego. Out there the experience is one of dependency on nature, not dominance over it. And from a spiritual perspective, that is powerful medicine. One evening, Lakota elder and grandmother Carol Iron Rope Herrera spoke to us about the centrality of children and women in traditional Lakota society. She began with a prayer to the earth, and the ancestors. Then to illustrate Lakota social structure she had all the children in our group gather around a stone she placed in the middle of the floor. Around the children, she then had all the women who were mothers circle up and hold hands. Around those mothers, Carol then created another circle of women – all who were aunts or nieces or neighbors to children. “In Lakota culture, the children belong to everybody. Every adult had the responsibility to teach, care for and discipline the children.” Then Carol had the grandmothers in our group gather around the outside of the whole cluster of children, moms and other women. “Tighten up!” she kept saying. “We’re a tight community!” She explained that in matriarchal Lakota society the grandmothers were the deciders, not the men. The grandmothers were the wisdom people, with their close connection to both the ancestors and the future generation of the little ones. Then Carol told the children they all had to all leave the center, and leave the room. “Now it is the 1800s,” she explained. “The white settlers, the army and missionaries have come and the children have all been taken away to off-reservation boarding schools,” she said. There the children’s hair was cut short, they were forbidden to speak Lakota or play Lakota games. Each had to wear a plain European-style military uniform. Carol then told the men to turn and face away from the circle, lined up in a straight line shoulder to shoulder, military fashion. Behind them, the mothers and younger women turned in a line, now facing the backs of the men like a second rank of soldiers. And finally the grandmothers far back, in a third line facing the backs of the younger women. “This represents the regimented new life on the Indian reservations.” From the perspectives we now had in this new arrangement of roles, we each shared the confusion and isolation we felt, disconnected from our original core purpose and fellow relations with our teospaye kin. 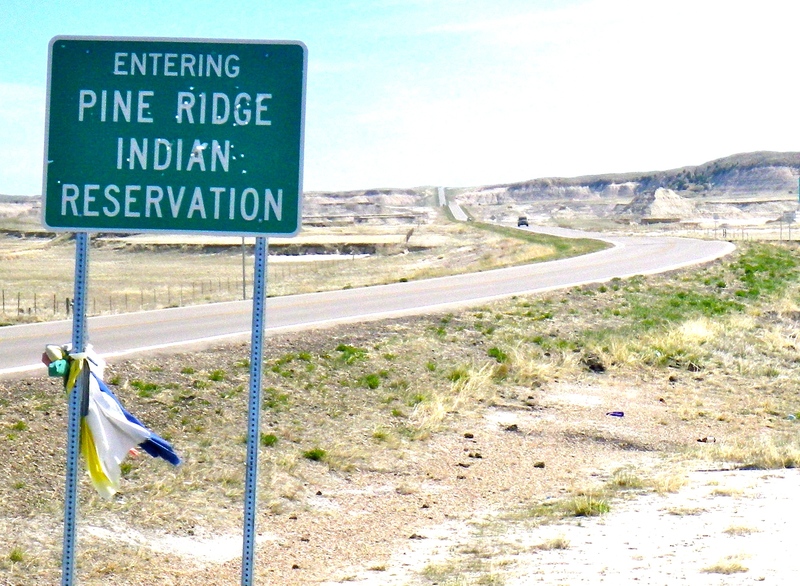 A common reaction of people who visit Pine Ridge is, How could I have not known about this? Unlike the visible face of urban poverty in American cities the people of Pine Ridge are not visible to most of us. Instead, they are hidden- in plain view- on the Reservation. One reason for the invisibility is location: the Rez is off the main interstate highways that lead to nearby vacation destinations like Mt. Rushmore, Wall Drug, casinos and the annual Harley-Davidson rally in Sturgis, South Dakota. Another reason is lack of popular attractions: what tourist wants to visit a place with no water parks, resorts, fine dining, movie theatres, malls or vegetarian restaurants? Pine Ridge does have a casino, but since the entire Reservation is dry the casino does not serve alcohol. We were told the casino declared bankruptcy and had to be bailed out by another tribe. Apparently tourists are not interested in a casino with no alcohol. But there’s a deeper invisibility unrelated to location or entertainment options. It’s about needing to keep certain people unseen or at a distance in order to maintain one’s personal “story”, one’s own mythology. I experienced a form of this when I first moved to my inner city neighborhood in South Bend, Indiana. “Cottage Grove Avenue?” my own friends would say, “That’s a bad neighborhood!” What are you talking about, I’d think, and for years I tried to counter these negative views – always by people who did not actually live there– with positive facts about raising my kids there, the neighborhood children, the vitality, the arts scene and the actual crime statistics showing our neighborhood was no worse than their own. But it was no use. I eventually realized it wasn’t about facts or information. I was missing the point. My anxious friends needed to believe my neighborhood was a bad one. In their own mind they lived in a good neighborhood, and that required a bad neighborhood to hold the whole mythology together. Related to the Rez, it also means you don’t have to care about the people in the bad neighborhood, because, well, we’re bad. While writing this story I attended an event at my daughter’s college. One of her classmates, from South Dakota, heard I had visited the Rez and approached me. “You visited Pine Ridge?” she said. “I can’t believe you went there on purpose. Why would anyone want to go to that place?” Before I could recover, she told me stories (she had heard) about drug and alcohol use in Rez high schools that sounded, well, no different from those at my daughter’s public high school. But there was one difference. “Their high school is so bad,” she said, “our football coach has to call their coach before a game just to see if they have enough boys for a team!” I immediately recalled stories of Lakota families unable to get their kids to school for lack of working vehicles, gas, distance or unplowed roads. I attempted to share this information with the young woman but the effort was futile. Her beliefs were firmly rooted, nurtured and well-protected by her parents, her friends and our society. The good/bad worldview distorts our ability to see the people on Pine Ridge and bigger Indian story. We have an American story, a mythology, about the goodness of God and Country. And it is impossible to have the real Indian story on the same page as the God and Country story. Visiting Pine Ridge fractures the God and Country story. But through the cracks come new light, which can illuminate the shadows of our national psyche. We can integrate and heal the wounds still denied from our past relations with Indian people. Its a win-win. The Trees Are For Everybody. Oh, I thought. Right. For the Lakota trees weren’t privately owned any more than the hawks or the Cheyenne River. Trees were just one more gift from mother earth, to be used sustainably for the benefit of the teospaye. I told this story to a friend back home. He frowned. “Well what keeps one guy from taking all the wood?” The whole belief system of the Lakota people, that’s what, I thought. If you use up the wood, you don’t just go without heat. You shame your self, you harm your family, you put the tribe’s winter survival at risk and you dishonor the Creator that put it all there in the first place. In other words, it’s a moral thing for the Lakota, not just an economic or environmental thing. For a nonIndian baptized in the church of private property rights this kind of self-restraint just seems absurd. UnAmerican even. Our consumer economy depends on the steady, continuous taking of vast resources to feed our production lines. We even have a biblical text to justify human dominion over creation.[5. The religious doctrine of dominionism from Gen. 1:28 runs deeply and silently in our social belief system whether one is religious or not. “And God blessed (Adam and Eve) and God said unto them, “Be fruitful, and multiply, and replenish the earth, and subdue it: and have dominion over the fish of the sea, and over the fowl of the air, and over every living thing that moveth upon the earth.” In the late 1980s, several prominent evangelical authors used the phrase Dominion Theology to name Christian movements that made direct appeals to this passage in Genesis. The distinctive aspect of Dominion Theology is that it is interpreted as a mandate for Christian dominance in civil affairs, as much as in religious ones.] At the end of the business day, a rainforest is worth more dead than alive for its timber, oil, roads and real estate. It’s important to understand that all this mother-earth talk is not mere ideology for the Lakota, nor is it the same as “environmentalism.” The beliefs of indigenous people are embedded in a spiritual cosmology that goes to the core of their self-identity as human beings. 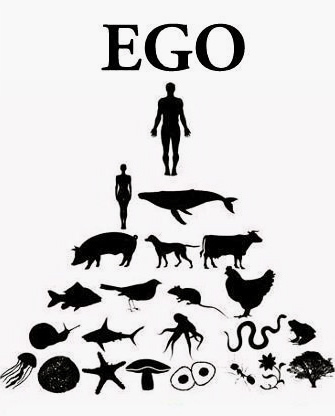 That we humans are suspended in a greater web of life that is both conscious and intelligent. Within this web every other life form is kin, since we each come from the same mother, Earth. Thus the references to brother fox, sister corn and so on. One day a group of volunteers stopped at a roadside patch of wild sage, the herb that is dried and burned in Lakota ceremonies. As the volunteers pulled handfuls of the grey-green plant out by the roots a passing car slowed, turned around and pulled up behind them. An elder Lakota woman stepped out. “Please don’t do that,” she said. “That’s not how we gather sage. When you pull it out by the roots it will never grow back in that spot.” She produced a scissors and showed the volunteers how to carefully prune the sage four inches above the ground. She handed the cut sage to the volunteers. “Now it can come back.” For the Lakota, sage is neither a roadside weed nor just a useful medicinal and ceremonial herb. It is kin like all the animals. Like the passenger pigeon, the Eastern elk, Bali tiger, sea mink and the 60 other known animal species that nonIndians have eliminated from the Earth in the last hundred years. My tribe has a knack for pulling entire species out by the roots. Shovel-Ready Industrial Sites. Available 22 acres. Call Now. BTS Developers. Look what we’re doing to ourselves. Look what we’re doing to the earth. As I drove on I knew I was getting closer to my house, but it felt like I was getting farther from my home. Farther from a way of life that seemed much simpler, more elemental, dignified, humane and sacred. 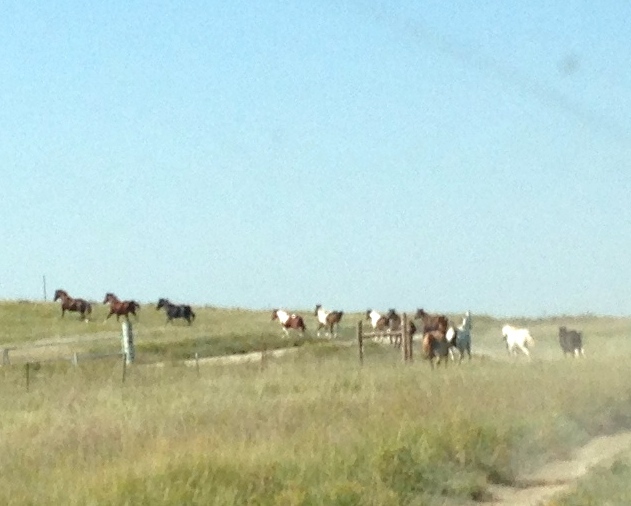 I thought about the joyful ride through the grasslands with Marvin, rounding up his horses. No staff meetings. No cell reception. No road signs. No road. I don’t know if Marvin had access to health care, decent food, fair wages or even plumbing. I do know that Marvin seemed happy and had access to the things needed for health of the soul and balance with the earth. You could say Marvin lives in poverty, but he is a rich man. The wisdom I’m advocating from people like the Lakota is not about abandoning our modern technology, economic system, culture or religious traditions. It’s about balance. About keeping the center where the center needs to be: in the heart, in the family, in the earth. 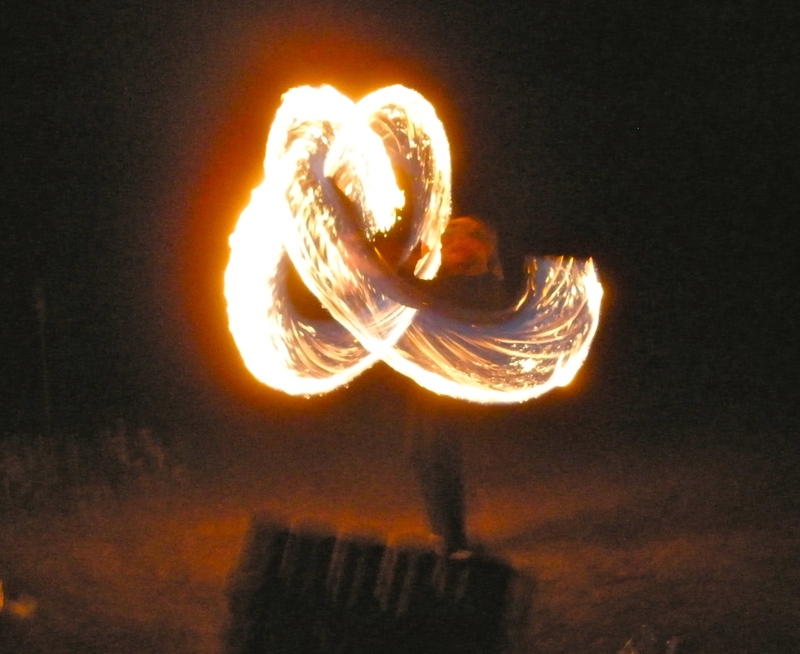 Though we have no modern experience doing so, we need to use our technology, our fire-people industriousness and our religion to honor and protect the well-being of all created things, not just humans and human institutions. That will require a deeper response than “more growth, more jobs!” It will require maturing our self-serving dominion theology and studying the real old-time religion, that of our indigenous ancestors. Not to replace but to balance our unsustainable habits with attitudes, methodologies and spiritual practices that benefit our great grandchildren and the generations to come. Today the world is so small, so interconnected, that our actual community is the world community. We don’t have a mythology to take that in. We only have small parts of the group with mythological systems oriented to only parts of the totality (e.g. “Christian”, “Islamic”, “Black”, “Hispanic”, “French”, “American”). This can’t last. The only myth that’s going to be worth thinking about will be a myth of the whole planet, and everybody on it. Not this country, that group of people. It will have to deal with the maturation of the individual, how she is related to this society, and how to relate this society to the world of nature and the cosmos. We can re-member our relationship with our Indian kin, like the Oglalla Lakota of Pine Ridge. We can learn from their time-tested ways of staying in balance with heart, community and earth. We can even bring the buffalo back. It won’t be in a single generation. We’ve seen what short-term thinking has done to our people and our planet. But if we begin with prayer to the creator of all living things, and think like a Lakota grandmother making decisions for the benefit of seven generations to come, we still may have some time. 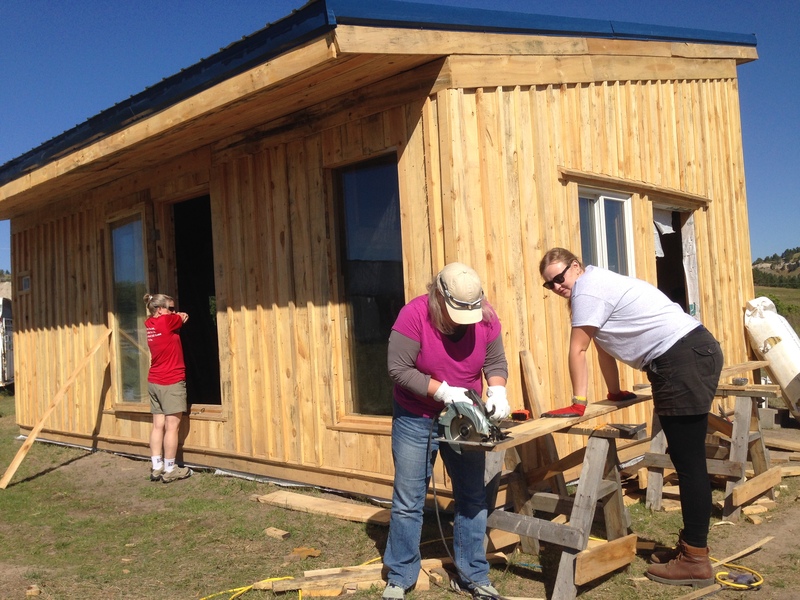 I’ll be taking another volunteer group to Pine Ridge August 4-8, 2-17. For more information see my primary website at greatplainsguide.com. 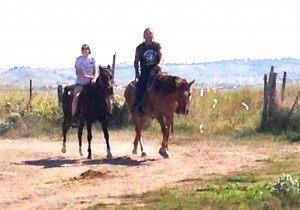 Wild Horse Rescue (saving neglected horses). http://www.wildhorserescue.org/march2011.htm.